WOW! 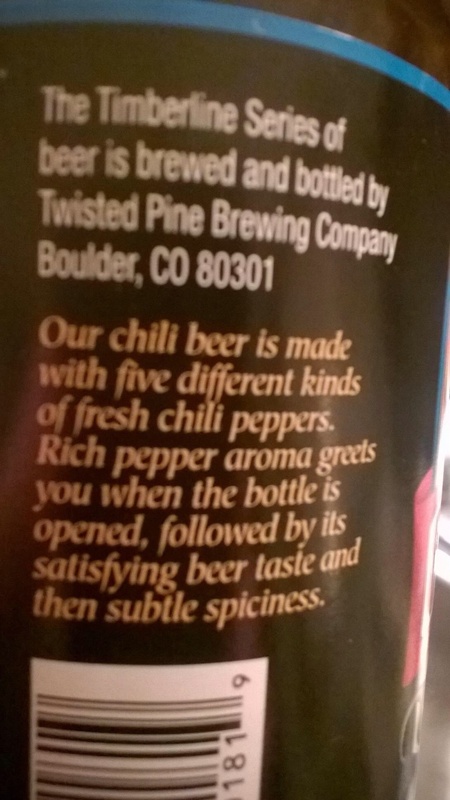 The label says, “Our chili beer is made with five different kinds of fresh chili peppers. Rich pepper aroma greets you when the bottle is opened, followed by its satisfying beer taste and then subtle spiciness.” This spice is NOT subtle. Maybe we got a spicy batch, but I feel like I’m breathing fire! The brew smells like the fresh ribs of a spicy pepper and then the taste is an ale with loads of way spicy pepper blends. If you don’t like spicy, DO NOT DRINK THIS BEER. We here like spicy foods and brews, so this is quite a treat. It’s golden in color and very cloudy with bits of peppers floating around and low carbonation. Again, WOW! I think the next round will be paired with a black pepper cheddar or a chipotle cheddar. Stay tuned. Its a good one. I wonder if it tastes and different on tap…? 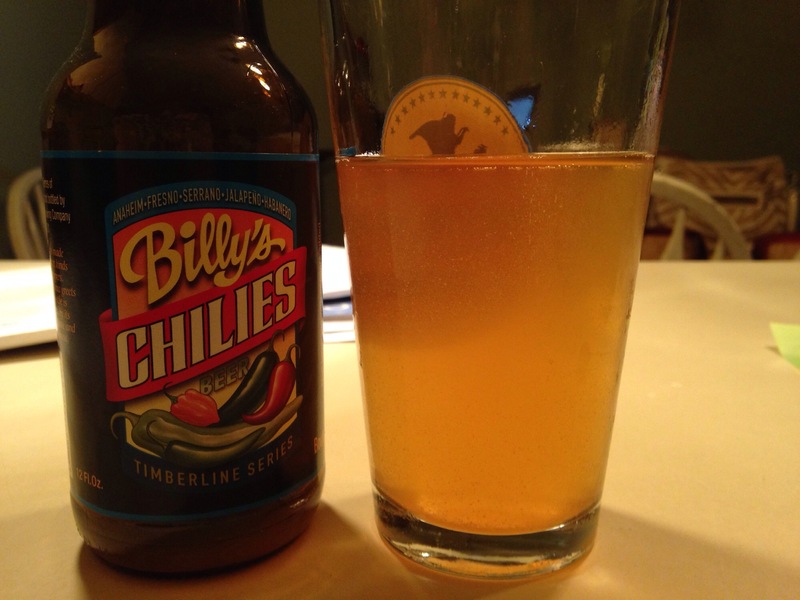 Paired with chipotle cheese and black pepper corn cheese, this brew rocks even more! Yes, it does pair very well with both cheeses. The cheese actually mellows the taste. Prior to tasting this brew, I held all peppered brews up to Fordham Old Dominion’s Hoodwinked Stout. 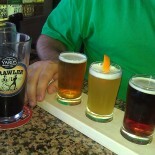 Now I will be comparing beers against Hoodwinked and Billy’s, yes! This entry was posted on August 1, 2014 by wineoh!006 in Uncategorized.